Women rights activists in Afghanistan are facing growing levels of violence and harassment, as authorities turn a blind eye to the issue, says a new report by Amnesty International. In a report‘Their lives on the Line’, published on Tuesday in Kabul, the human rights watchdog urged the Afghan government to meet its obligations to ensure gender equality and address discriminatory social attitudes. Amnesty said the authorizes are doing nothing to prevent the escalation of violence – including sexual assault, threats and even assassinations – against women’s rights defenders. The statement is based upon 50 interviews collected by the watchdog`s researchers with women’s rights defenders as well as their relatives across the country. While the international community has already spent hundreds of millions of dollars into projects that aim to support women in Afghanistan, now it seems these achievements are at risk. The publication is indeed rather timely. It follows some high-profile cases of abuse and violence. On March 19, a mob of men beat a 27-year-old woman named Farkhunda to death, threw her body off a roof, ran over it with a car, set it on fire and at the end, threw it into the Kabul River. The attack was captured by mobile phone cameras and was widely shared on social media. The woman had been falsely accused of burning the Koran. Her death led to massive protests across the country, 26 arrests and renewed calls for authorities to ensure that women are protected from violence in Afghanistan. In 2011, a Thomson Reuters Foundation poll called Afghanistan as the most dangerous place in the world for women. Since then little seems to have changed. 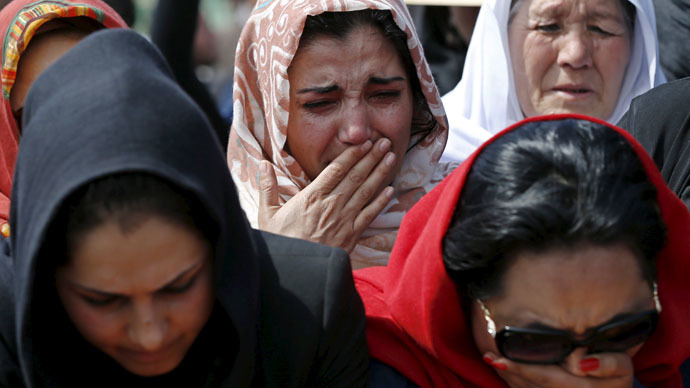 Afghan women rights defenders continue their work placing their lives constantly on the line. “These brave people – many of them simply doing their jobs – are the bulwark against the oppression and violence that is part of daily life for millions of women across the country. The government must ensure they are protected, not ignored,” Amnesty International`s Afghanistan Researcher Horia Mosadiq said.